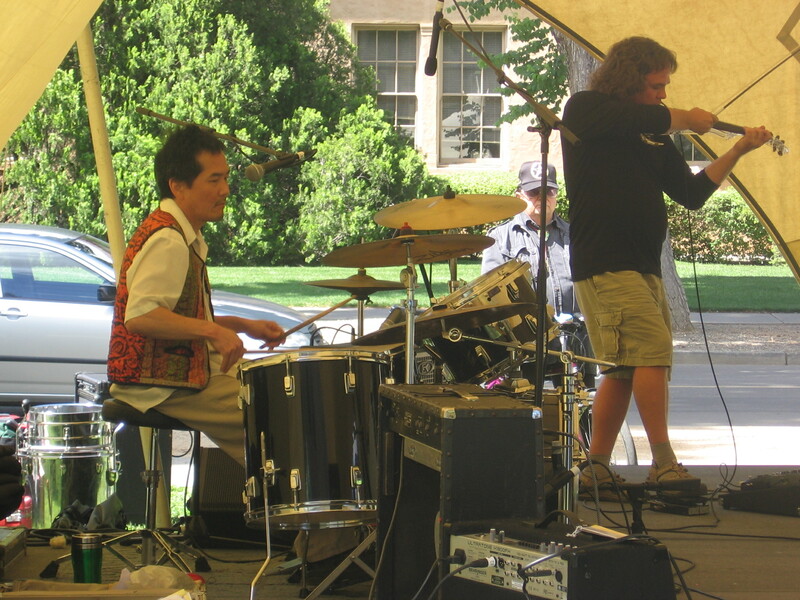 ← Video Vault: The Curbfeelers! 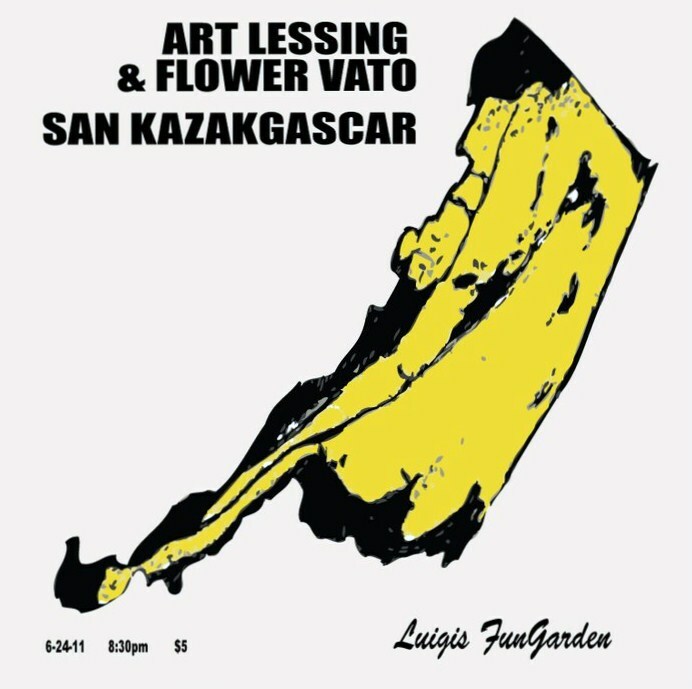 San Kazakgascar kicks off the summer by playing a show with Art Lessing & The Flower Vato at Luigi’s Fun Garden on Friday, June 24. We’ve got some new songs and our new electric violin player John Cypher. We’re going to make things a little interesting this night. After each band plays a set, we’re going to combine forces (all nine of us) for an improv. psychedelic thunderstorm. Video and lights will be involved. There will be tripping over each others’ cables and maybe even a little wrestling. Won’t you be part of this mess? A video flier by Dan Q.
Cypher's first show with Kazakgascar last month. Fri, June 24 at Luigi’s Fun Garden, 1050 20th St., Sacramento 8:30 pm, only $5, all ages. This entry was posted in Uncategorized and tagged art lessing and flower vato, dan quillan, john cypher, luigi's fun garden, psychedelic, sacramento, san kazakgascar, velvet underground. Bookmark the permalink. woah! John Cypher in your band. That’s crazy. Glad to know cypher is kicking around still.